The Philips indoor smokeless grill is a unique appliance that allows you to enjoy tasty, evenly browned grilled food all year round. The advanced infrared heat technology ensures minimal smoke and splattering. 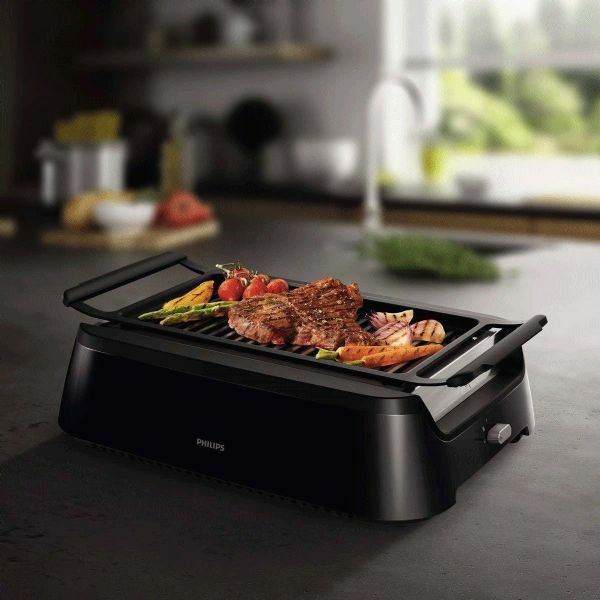 The advanced infrared technology and the special reflectors guide the heat towards the grid achieving delicious, evenly grilled food, while leaving the grease tray cool enough to minimise unpleasant smoke and grease splattering. As fat and water content differ per food type, grilling some ingredients (beef and chicken) results in hardly any smoke, while with others (pork or lamb) there can be slightly more - yet much less than with current grills. The non stick ALU grid privdes authentic barbeque grill marks. 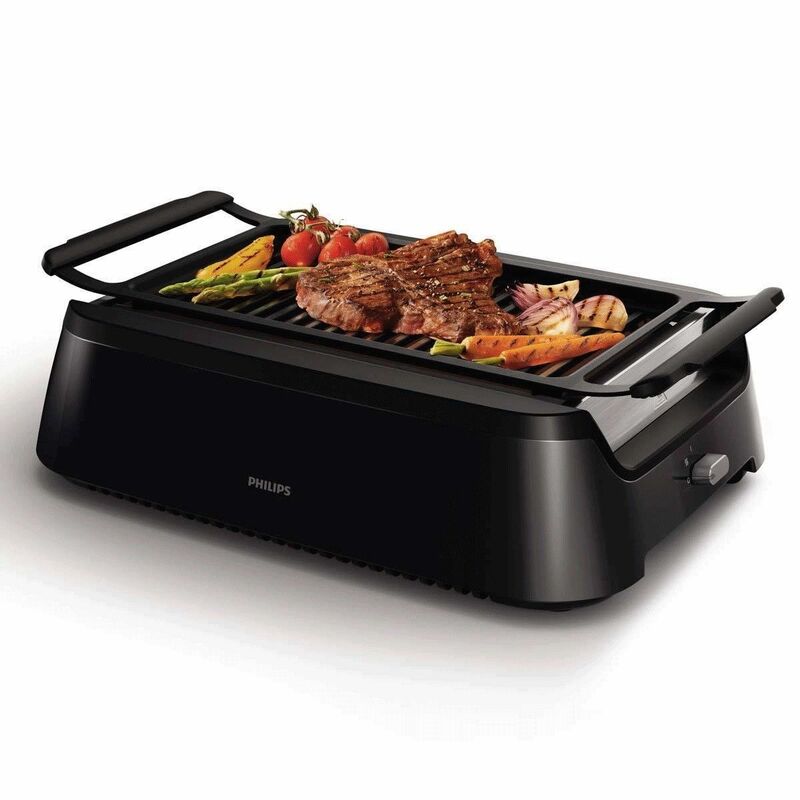 The robust die-cast aluminium grid allows for perfectly grilled food. Thanks to the non-stick grid, the appliance takes less than a minute to be cleaned. Additionally, the detachable parts are dishwasher safe. Cleaning a grill has never been so easy. Excess fat us collected on an extra large grease tray. Food is not cooked into its own grease and the fat is separated into the grease tray allowing for lean grilling. The grill quickly heats up to 230ºC, which is the perfect temperature for searing meat and maintains that temperature throughout the entire cooking process. The grill consists of two parts, a grid and a grease tray. 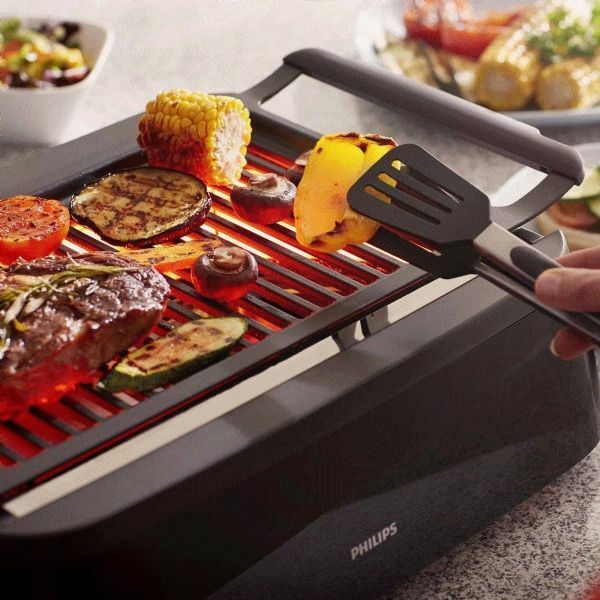 Spend less than one minute assembling and more time on enjoying all the goodness of grilled food. 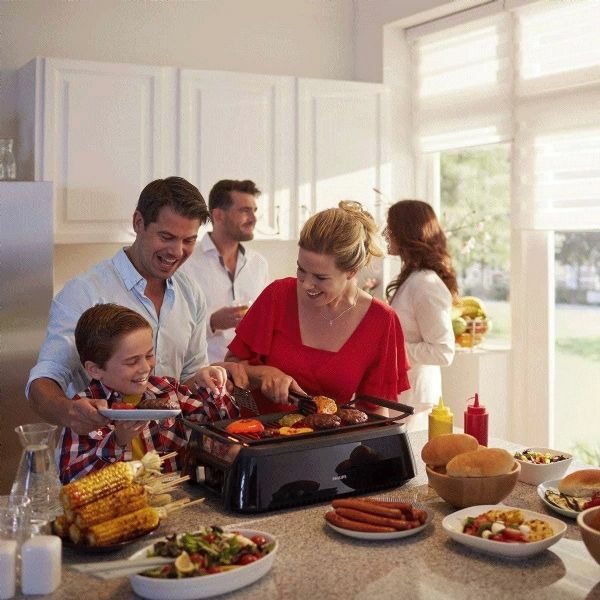 Even when you have finished grilling, you can keep your food warm by switching the grill to Keep Warm setting.